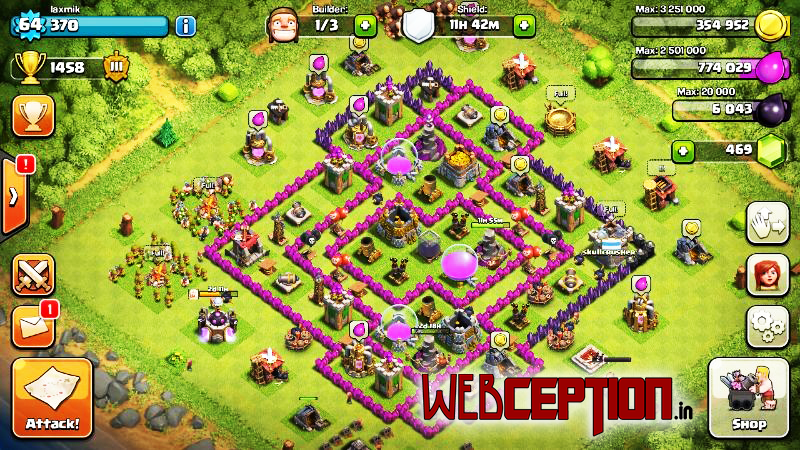 Clash Of Clans : Are You Addicted? Clash of Clans is a popular iPad/iPhone/iPod/Android game created by “Supercell”. It is a strategy game where players can construct and expand one’s village, unlock successively more powerful warriors and defenses, raid and pillage resources from other villages, create and join Clans and much, much more. Its more like good old computer game Age Of Empires. It was released for Android Devices on October 8 2013. Since the day of release its downloaded more than 10 million times. It is basically a Online Multiplayer game that connects many smartphones running the game. Player can earn Gold and Elixir by attacking other players. Earnings can be used to build their own base, improve defense and build your army. When you first start on Clash of Clans, you are given a tutorial. You will have a three day shield which prevents other players from invading your base. This is essential for getting your defenses and resource buildings to a safe level before you can be attacked. The first thing you need to do is upgrade your Elixir Collectors and Gold Mines to a sensibly high level. I recommend at least level 3 or 4 at first. This will give you enough of a resource base to keep you going for a while. Once you have completed this, you need to see to your storages. You have a maximum of two storages of each, elixir and gold, and it is probably best to get both to maximize your resource amounts. Don’t worry too much about Barracks and Army Camp upgrades at this early stage as they won’t protect you from invasion and will only help when you are on the offensive, but do try and get your Town Hall to level three.As soon as you have completed these tasks you must turn to your defensive buildings. Joining Clan : Here comes the real multiplayer fun, Clans are groups of players that pool their trophies in order to compete with other clans in a battle to collect the most trophies and to win a Clan War in order to gain the most loot. To be a member of a clan you must first repair your Clan Castle. To do this will cost you 40,000 gold. Once your Clan Castle has been repaired you have the option of joining a clan. View a clan that has the status ‘anyone can join’ and tap the ‘join’ button. Send a request to join a clan that has the status ‘invite only’. 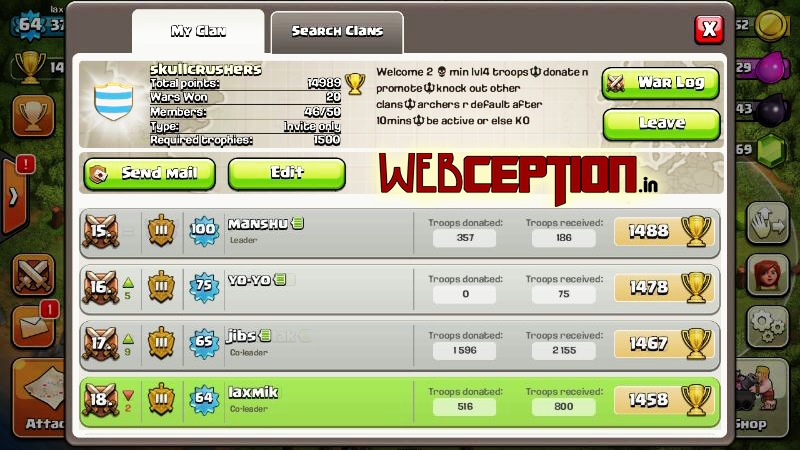 Go on global chat and watch for people recruiting members to join their clan. Its so famous that people are making money in the name of Game Hacks. But literally none of the methods like using a Computer Software, Putting your username in a website and completing a offer works. In other words, those softwares are just Trojan Viruses to hack your PC no the game!! Beware of things like that. Game is available in Google Play for free. But you may need to pay for some upgrades. Supercell’s other games are Hay Day,Boom Beach and recently released clash royale. So think its interesting game?? Rush to Google play, download and Start the war! 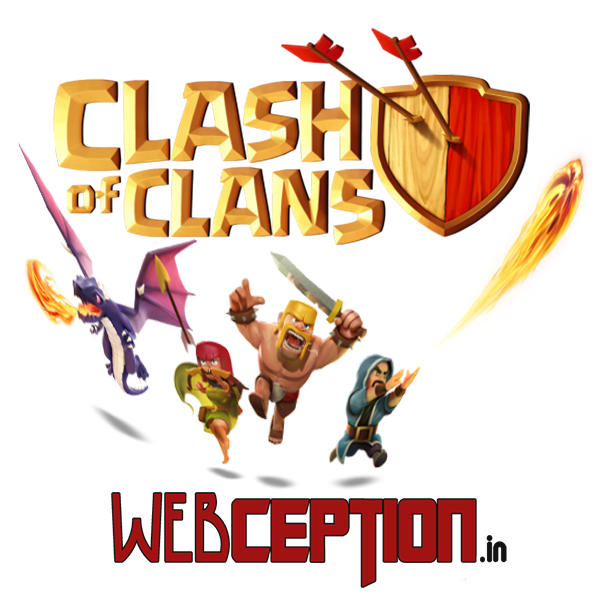 Source: Clash Of Clan Wiki, Official Website.